For many players, one of the gravest failings of Fallout 3 was that once it was over, it was over. Having saved the world from almost certain doom, players couldn't wander back into the wasteland to horse around at their leisure. Same deal with New Vegas: If you didn't do all your exploring before the grand finale, you were out of luck unless you loaded up a pre-endgame save. But Bethesda says that won't be the case with Fallout 4. 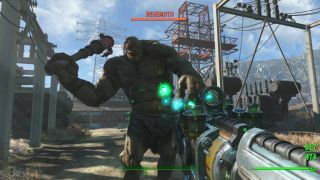 "To fans who’ve asked: Fallout 4 doesn’t end when the main story is and over and there is no level cap," Bethesda tweeted earlier today. "You can keep playing and leveling." We'll see soon enough: Fallout 4 will be out on November 10.